You want the children in your community to be safe. Part of that means providing a safe environment for them to play on. When a little boy or girl falls from the monkey bars, it’s best if the kid falls on playground surfacing that is soft and will absorb the shock. If your playground surfacing were concrete, that child would most certainly head to the Emergency Room with a broken bone. At Imagine Nation, we promote child health and safety from the very foundation of our playgrounds. 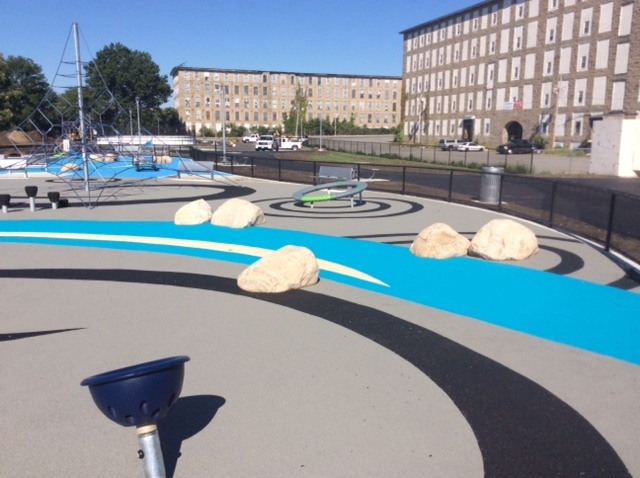 Imagine Nation works very closely with Vitriturf to provide quality solutions for playground surfacing. Since 1978, Vitriturf has been the innovator and leader in cushioned seamless rubber flooring. From playgrounds and sports facilities to aquatic centers, Vitriturf has the safety playground surfacing for you. 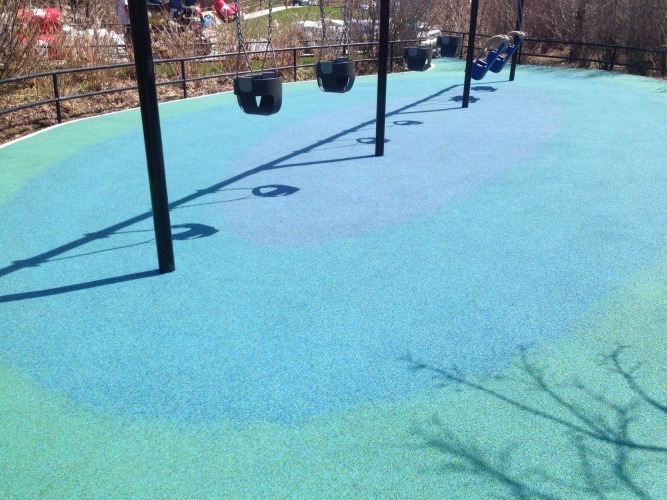 Vitriturf provides an attractive, finished look to your playground surfacing, eliminating the need for everyday maintenance, which is associated with loose fill surfacing products. Different colors, themes, and graphics can be incorporated to make your site even more visually appealing and enhance the play experience. 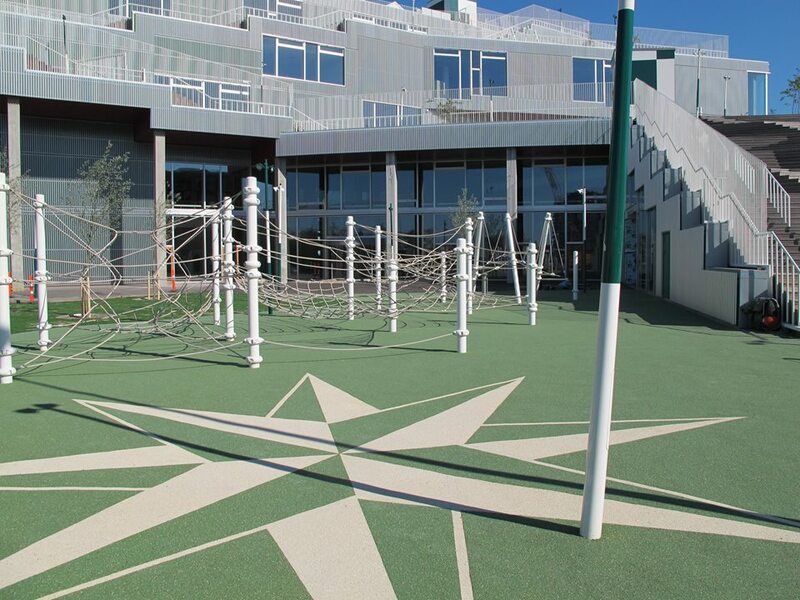 In addition to Vitriturf, Imagine Nation can also provide artificial turf or engineered wood fiber safety surfaces. We want to know more about your playground surfaces needs. 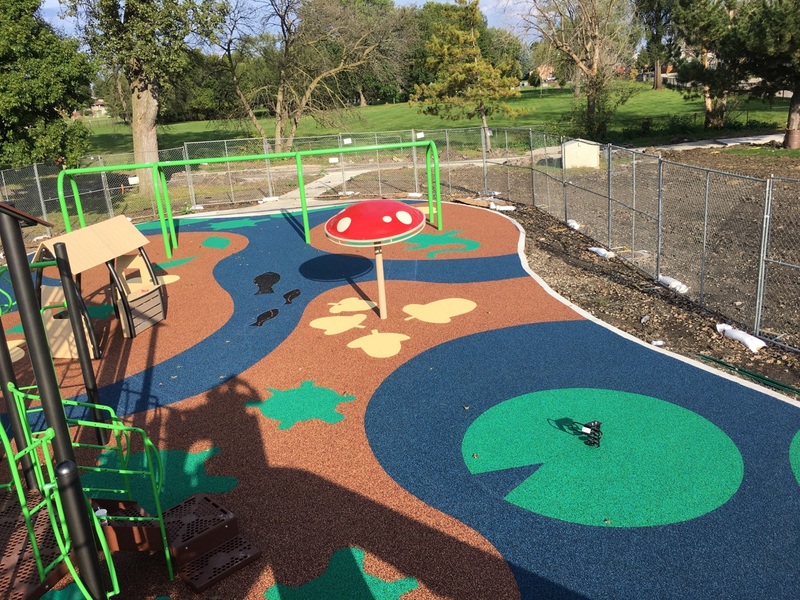 Allow Imagine Nation to help you design the perfect playground surfaces that will be both fun and safe for children of all ages. At Imagine Nation, we respect your time and your budget no matter how large or small the project. Contact Imagine Nation online today for your free consultation.